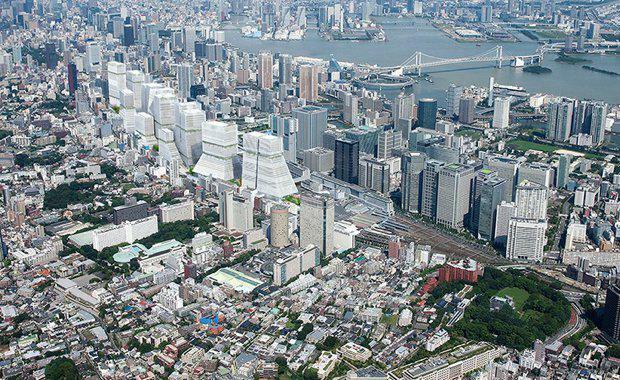 As part of a closed design competition, Hassell Design Studio have pitched a masterplan that would represent the largest urban regeneration project in Tokyo. 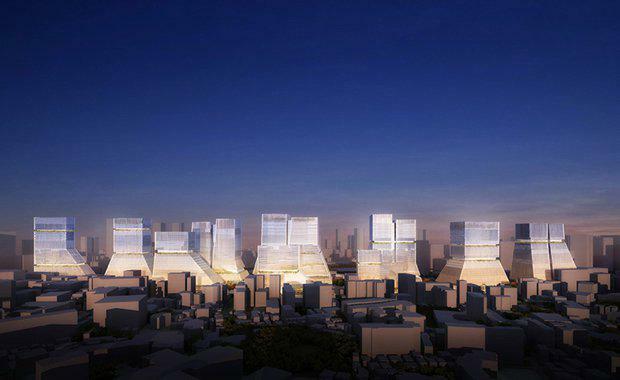 The design competition challenged architects to bring new life to Tokyo’s rail yards – once thought to be Japan’s front door before the gravitational pull of commercial and cultural activity to the centre of Tokyo’s overwhelming infrastructure. 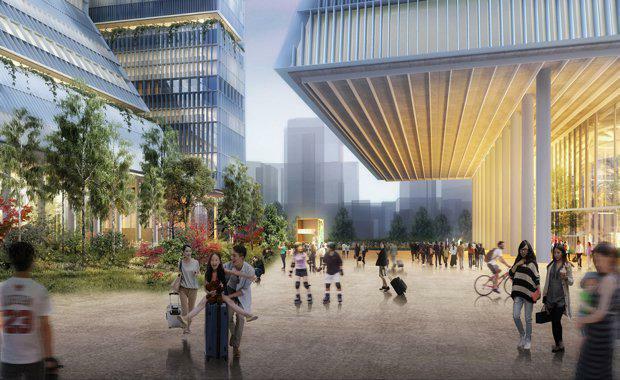 Hassell’s ambitious project goals revolved around restoring the rail yards’ 1,250,000 square metre of development area so it could redeem its "gateway" status, and connect with nature and create an authentic sense of place. 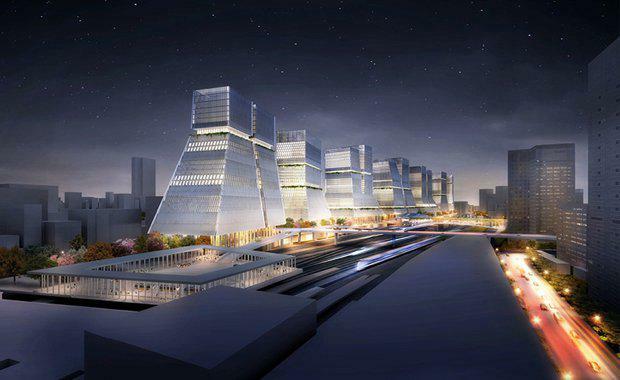 The proposal for the Tokyo rail yards redevelopment centred on the idea of the "slow city" – a place where buildings and public spaces come together to frame a lifestyle. “Our aim was to create a place where the people of Tokyo and their visitors could slow down and take a breath – somewhere they could change the pace of their day in this booming metropolis,"Hassell’s design team said. “To create the conditions that would make that possible, we needed to establish a new character for the area. That started with a landscape that is more monumental – a green infrastructure that firmly establishes this new centre of gravity. Accompanying the area’s new landscape, Hassell designed seven main buildings to form a new gateway and define the railyards on the Tokyo skyline. 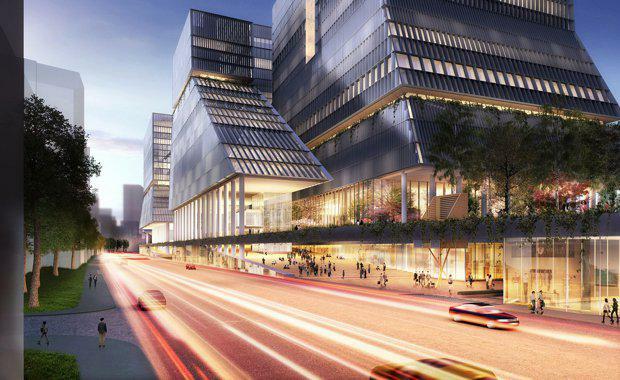 These buildings were created to work together as a group to form a distinctive silhouette that defined and framed the public space at ground level, rather than becoming just one ‘iconic’ gesture. “The buildings are tall but they are also equally broad in proportion. Not quite blocks and not really towers, they represent a new type of built form with a distinct personality and character. “Proposed as a number of simple layers, the public realm includes a new commercial frontage at ground level, an urban forest and winter gardens as well as a new garden bridge connecting to the canals and Tokyo Bay to the east.